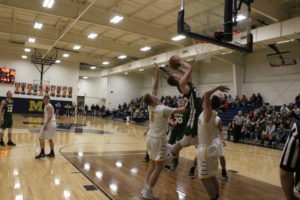 Maryland’s top ranked Southern Garrett stirred the Hive and struggled to fight off the pesky Yellow Jackettes defense during a 43-30 victory over Moorefield on Tuesday. 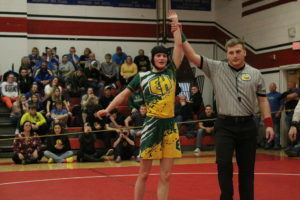 It took nearly six minutes for the Lady Rams to build an 8-0 lead and only a 12-5 score at the end of the first period. 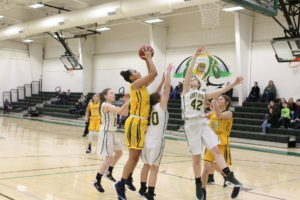 The game opened with back-to-back turnovers as the ball was thrown out of bounds, then Southern Garrett’s Kayla Harris hit a jumper which was the first basket of her team-best 12 points. 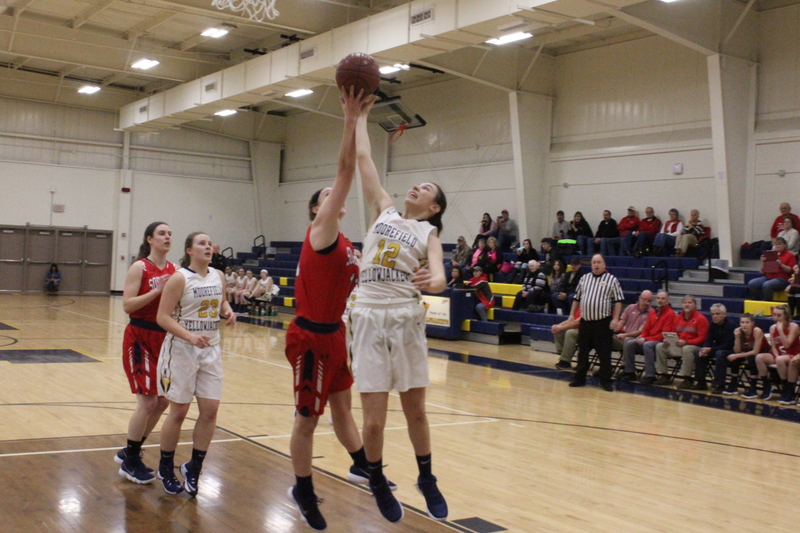 Moorefield’s Madison McGregor netted a game-high 14 points which included a buzzer-beating 3-pointer to close the opening frame.